Tim Cook, the CEO of Apple, announced that he saw an iPhone in a 17th Century Dutch master painting in Amsterdam yesterday. To see where he made those claims, click here and here. “Mr. Cook may be right, but calculating the relaxed angle of the hand, the two curled fingers, the weight of the phone, the guy in the picture is probably using a HandL.” Hirsch was referring to a unique new phone case he invented that allows users to interact with the phone in a gripless, organic way. Hirsch also shares the special admiration of the painting as Cook does. 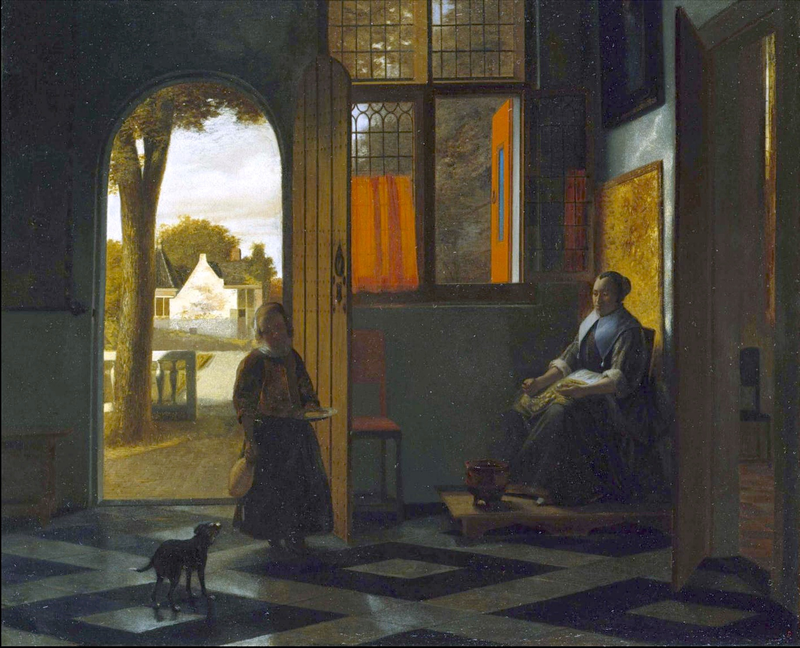 He after all, owns De Hooch’s earlier version of the picture. “This was his pre-iPhone period,” Hirsch quips. “De Hooch uniquely combined interior geometry and doorways with the organic figure which inspired his more famous Delft peer, Johannes Vermeer. I was painting like De Hooch before I even knew him. But when I saw his work, I felt a metaphysical connection- like he was inside of me. Hirsch owns seminal works by the artist and is working on a paper presenting recent discoveries he made about the artist including proof that he lived beyond the established 1684, and other interesting subject matter hidden in his work (besides iPhones)..
“HandL creates a whole new gripless experience for phone owners,” noted Hirsch. “I have designed it as a natural extension of our hand, allowing freedom and flexibility in phone handling without dropping fears. I worked to make HandL the simplest, most versatile interface between hand and phone, consisting of a high quality elastic band and finger brace. 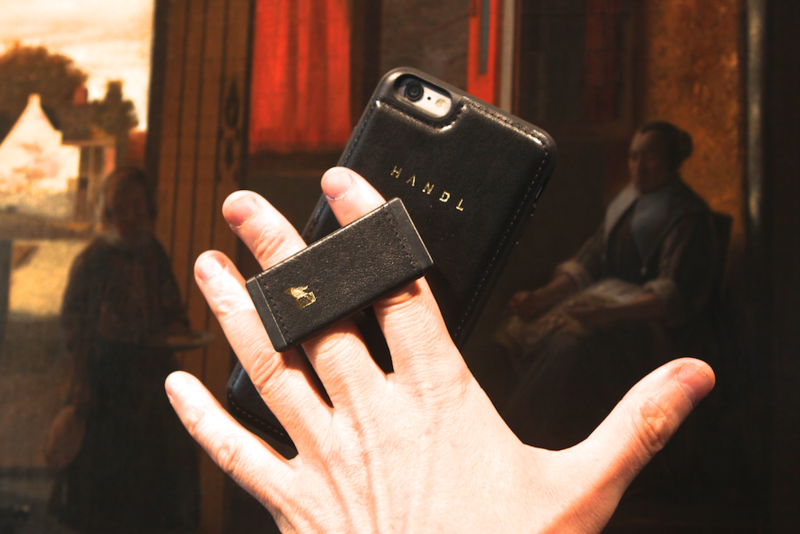 It feels like the phone is floating in your hand.” HandL phone case reduces wrist pain caused from gripping our phones and allows the user to operate even the large screen phones easily with one hand. This allows a more seamless integration of these devices into our busy, multitasking lifestyles. HandL also ingeniously converts into a portrait and landscape stand. 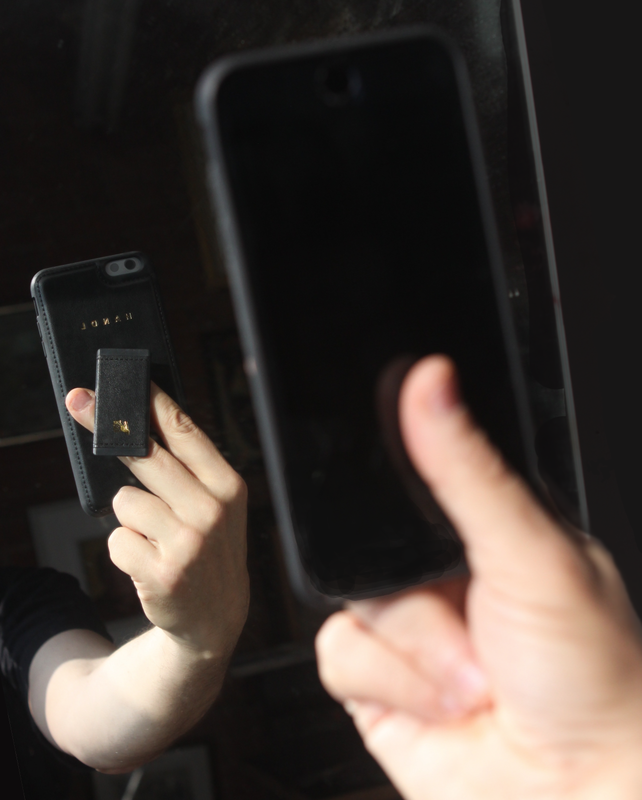 The product is currently available for the iPhone 6/6S, iPhone 6/6S Plus, and the Samsung Note 4 and Note 3 from $24.99-49.99. HandL is also about to launch other models that will ignite the users’ tactile senses. This entry was posted in digital, senior lifestyle, tech and tagged Allen Hirsch. Handl by loiswhitman. Bookmark the permalink.